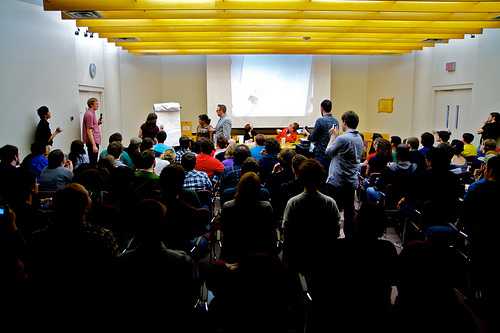 Video: MOD Draw & Guess at TCAF! All photos by Eric Akaoka / More photos of the event here! Thanks so much to everyone who came to see us in Toronto! We had a great time. We brought two cases of books, which we thought would be plenty, but they were gone by midmorning Sunday. It was also super neat to see you bring your copies from home to have signed! Hooray in every way! 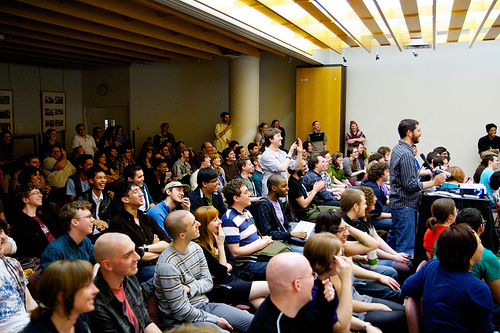 We were also totally thrilled to see such a massive crowd at the Draw & Guess event. Folks were lined up both directions by the door, filling both walls of one hallway entirely and queuing out further onto the library floor. We’re so pleased you enjoyed the event — we heard nothing but nice things afterwards. Which is great, because we want to do it again! It’s proving to be a really fun game that we hope to keep staging at different events if we can. It’ll only get better as we work out the kinks! Here is video, in case you weren’t at the show! It’s about 30 minutes long. 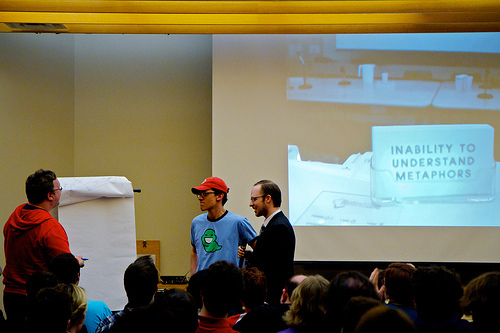 Machine of Death Draw & Guess at TCAF 2011! from Vimeo. Besides signing the books — which anyone can do — we thought it’d be neat to give folks some official evidence that they were there, some reward for taking the trouble to come out to the show. So we went a little EMBOSSER CRAZY. We’ll have the Official MoD Seal Embosser at most places we travel, so if we’re coming to your town, please bring your copies of the book to come be Stamped and Sealed! 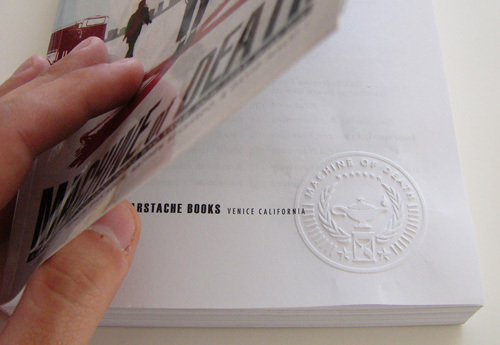 It’s like a weights & measures inspection — it protects the book from being tampered with. Next place we’ll have the stamp is Maker Faire in San Mateo this weekend, then World Steam Expo in Michigan, then Heroes Con in Charlotte, then Calgary Comics & Entertainment Expo in June! Comments Off on Video: MOD Draw & Guess at TCAF! We’ve gotten quite a few emails linking to stories like this one (“New blood test can predict your life expectancy.. but critics warn of life insurance hikes”) and this one (“The £400 test that tells you how long you’ll live”). Basically all we can say is, as readers of our book, you are WELL PREPARED to consider the possible ramifications of what this machine means for you, for your friends and family, for society, AND for life insurance. You’re extra prepared, actually, because you can also deal with a machine that tells you how, and not just when! The test even works off of a blood sample, which matches up 100% with the machine in the comic. I need to start writing comics about a machine that introduces a post-scarcity economy to the world and also invents holodecks, and we will be SET. Some direction for your stories. Unlike most fiction writing, a themed anthology is really a collaborative medium. It works best when all the gears mesh, when the reader is carried from one page to the next and one story to the next effortlessly and emotionally. This requires, of course, that all the individual stories combine to make the book a compelling overall experience. But obviously, any individual writer can’t know what everyone else is writing! Why are there Approaches to Avoid? • As editors, we become tired of seeing the same tropes over and over again. When writers unwittingly write something that we consider a cliché, it tends to dispose us against that story. Fresh ideas make stories more likely to be bought by us. • Regardless of our personal feelings, we feel that the easy places to go with the concept don’t provide an interesting experience for a reader of the final book. If all the stories explore only the obvious things that everybody else would also think of, why bother? Fresh ideas are more compelling for the reader. • Any writer who writes a story that covers ground extremely well-trod is spending time and energy that could instead be applied to a more compelling story. Fresh ideas are a better use of the writer’s effort. Clearly, it’s in everyone’s best interest to try and avoid the well-worn trails! To nip these issues in the bud during the Volume 1 submission process, we created a section in our guidelines called Approaches to Avoid. We have basically the same list this time around, and below we’ve gone further into detail about the plot elements we’d recommend you steer clear of. If you have written — or want to write — or are halfway done writing a story that tags each of these no-nos like you’re rounding the bases in the World Series, don’t take it personally! But do take it to heart. This is your second chance! We’ll gladly read another story by you that does something different. Please write that story for us! One more thing: we understand why these ideas are so common. It’s not bad to write a story like this; our first book had several examples of each of the below. But now we want to go deeper. Your task, as a writer, is to prove to us that you can go deeper. A person is tested for the very first time. What could the prediction mean? Drastic measures must be undertaken to avoid this fate! But, oh no — their prediction comes true in a strange way! DEAD. Fade to black. A person does not want to be tested. But then they are (for work reasons, or because of peer pressure, or accidentally) and now they are stuck with the knowledge. The End. A person gets their prediction. They will prove the machines wrong by dying in some other way instead! But the plan goes awry, and they die in the predicted way. Fade to black. These stories can be fine, but we have by now read a lot of them. They are easy, and we understand why this is a common first stop for a writer. But now let’s move on! Let’s do something different. This is the story that just explains stuff. “There was a guy who got tested, and this happened to him. Then another guy got tested, and this happened. The government did this, and then the Church did this.” And on, and on. Stories should have a central conflict, with a beginning, middle, and end. A list of ideas can be cool — but then find a voice on the ground, a personal perspective, a character who is affected by the changes. Show us that person’s experience, rather than just talking about the world in general. This is any story titled something like “GLOBAL ALIEN INVASION” that gets the reader excited when they read the table of contents, but then there is not remotely a global alien invasion in the actual story. This story is just a construct for people to debate or explain The Nature of Fate. Sometimes the argument is about the existence or non-existence of God or free will. By the end of the story, maybe one character is convinced of another’s argument, but nothing has actually happened in a narrative sense. In stories, events happen. A person does something that changes things. Then, the changed situation affects them in a new way. Then they react to the new situation, etc. A person gets a sad prediction, say SUICIDE or CANCER or ALONE, and then just resigns him/herself to that fate. These kinds of stories make readers sad. We’re not saying that every story has to be lighthearted, or even pleasant. But we do not want readers to not want to finish the book because it’s too depressing. So we are unlikely to publish stories that are too bleak. In this story, everyone comes to peace with their prediction, and sometimes there is what amounts to a suicide as the 90-year-old with “DROWNING” solemnly hugs his family and then steps off a pier. This is possible to handle well, but it’s tricky to make work if it’s the entire dramatic content of the story. For some reason, there is a tendency with relationship-based stories to spend a lot of time just talking. Just talking about nothing, just being in the relationship. Maybe the couple has a meal; maybe they have a fight. Maybe the prediction causes a rift in the relationship. All this is stuff that would probably happen for real in a world where the machine exists. But let’s say we have 30 windows into that world, and 30 windows only. We want to see as much of that world as possible in the short time we have — as much variety as we can cram in. Stories about more-or-less normal people doing nothing but more-or-less normal things have a hard time competing in that race. Someone realizes that if their prediction reads “POISON,” they cannot be killed by anything else ever. So they go around tempting fate and defying death in implausible ways. This is a hard story to do well, because by now we (the readers and the editors) know that: 1. Something non-predicted might not kill you, but it can certainly paralyze you for life until you do die in the predicted way. 2. It is easy to play with wordplay to find a way that something seemingly innocuous can kill you (say, a car hits you because the driver was reaching down to pick up a dropped Poison CD). Another expression of this same idea is when everybody takes a prediction literally, often to prove the existence of something the machine prints the name of (aliens, God, Armageddon, etc). The same exceptions apply — because maybe someone will die of “GOD” when a religious fanatic kills them. A more subtle version of this is when somebody receives what seems like an obvious prediction, and cannot take it any way but literally. You can tell interesting character stories about a person who feels they have to interpret the prediction this way, but in general, it’s always super dicey to make an easily-disproven semantic argument the main thrust of any plot. We know that in a book about death, there will be some unpleasantness. What we probably don’t need is a completely unbroken experience of repulsiveness, where characters ooze all sorts of fluids and there’s sexual violence and everybody hates their life and wants to die. It’s just not fun for anybody to read. This is the story where people drop dead like flies all the time, but everybody takes it in stride. It’s possible to tell a story about someone discovering that since the machine’s invention, people die more often and of stranger things — but absent that explanation, or a deliberately farcical situation, we expect a world that operates pretty much like our own. When people act cavalier about murder, for example, or when brains are getting splattered on the sidewalk every Tuesday morning at 8 o’clock, it jolts us out of the believability of the story. This seems obvious to me, but I guess some people don’t read the submission guidelines well enough. (Those same people are unlikely to be reading this post, but I’ll mention it anyway.) 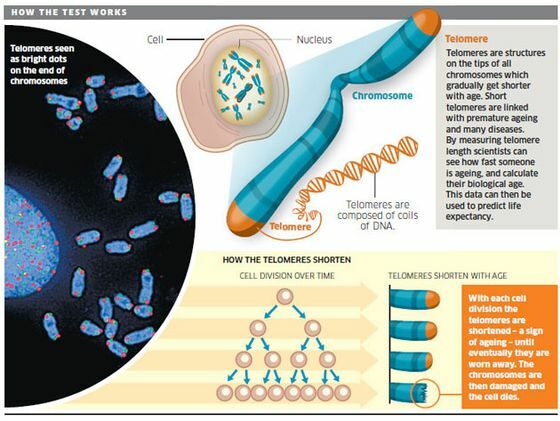 We are not going to publish any story that doesn’t involve a machine that can predict your death. I don’t think that’s too much to ask? Okay, Smarty, So What DO You Want? Your mission, as a writer, is to come up with the best possible story that fits into our world. The only major difference between that world and this world is that people in that world can undergo a blood test to find out how they are going to die. So the stories that we’re interested in are those that, in an interesting or entertaining way, somehow explore some aspect of how this machine would affect the world or people individually. For instance, how would such a machine affect the way we understand science or religion? How would it change the way we make war, or investigate crimes, or distribute social services, or treat sick people? How would people feel when they learned their fate? How would they feel when they learned the fates of their loved ones? Would people face discrimination if others knew how they were going to die? In general, what’s the kind of story that immediately pops into your mind? Now, can you go deeper? Think of something that exists in today’s world, and ask yourself, “In the world in which the machine exists, how would that thing change?” Who would it affect? Who would it not? Would everybody react negatively, or would some react positively? Why would they? What’s your personal immediate reaction to the machine? What kind of character would want to convince you of the opposite perspective? Could you create the world of that character? What factors have made them feel that way? How would the initial invention of the machine affect society? What would a society that had been raised with the machine look like? What if it was taken away from them? Would the machine be taken at face value? Would it be trusted, or not? Who would have an interest in either establishing or damaging the credibility of the machine’s results? How would the machine affect businesses? What kinds of new products and services would be invented, and which would become obsolete? Who are the people who would be affected by those ramifications? Would the machine itself be commercially successful? Who would want it to be available, and who would want to repress it? What would they do to achieve their goals? What if the machine existed in a different time or place, or an unusual setting? What if its use was confined to only a certain geographical area, a certain class of people, or a certain time in history? Why would that be, and who would it affect? How would the machine affect a non-Western society? A nontraditional family? Someone with wealth? Someone impoverished? Anyone who’s not a generic urban/suburban middle-class white person? This is only a partial list, but I hope it helps clarify your thinking about the sorts of ways you can distinguish your own stories. I’ll write more later about craftsmanship, which I think is a subject all its own. In the meantime, the three of us continue to look forward to reading your work! It’s tremendously exciting for us every time a new submission shows up in the inbox, and we want to do all we can to help you make your story the best it can be. In the months afterward, in suburban dining rooms, the bohemian bourgeoisie debated the ethics of the machine. 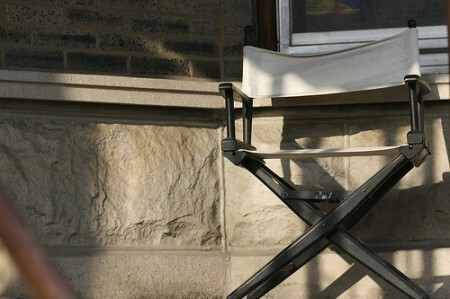 The first had been installed unobtrusively in leading doctors’ surgeries, and as they spread across the country, schoolteachers and bank managers and creative consultants and publishers met for cocktail parties, suppers, restaurant lunches, the conversation turned to the machine, the machine, again and again, the machine. A temporary silence settled over the Broads’ dining table, broken by the hostess. Camron Miller is an amateur writer and classics student. A graduate of St Bees School and the Lawrenceville School, he divides his time between the University of London, the Surrey Hills, and a seaside village near the Lake District National Park. He can be reached at camronmiller [at] hotmail.com. Joanna Penn is an author, blogger, speaker and business consultant based in Australia. 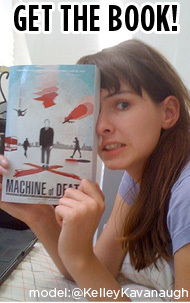 She recently published the novel Pentecost, and she also recently conducted an interview with us about Machine of Death. In the book, “CANCER” is illustrated by Les McClaine. This podcast episode was edited by Matthew Schwartz. Machine of Death at TCAF! The Machine of Death carriage is rolling into Toronto this weekend! 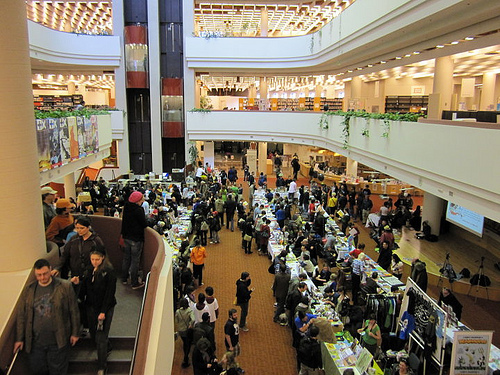 A whole host of contributors will be exhibiting at the Toronto Comic Arts Festival, held at the Reference Library in downtown Toronto. Print out this post and let it be your Official MOD/TCAF Checklist!! Booth 155 – Scott C.
Also, on Saturday afternoon at 4:15, we’ll be presenting a special live event! 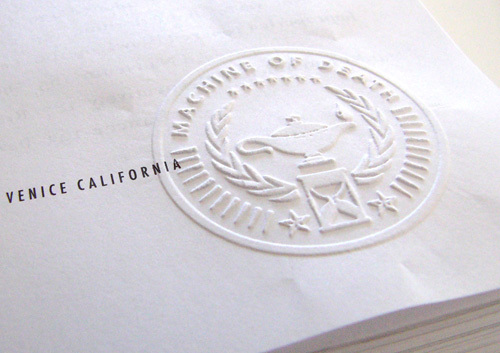 Machine of Death Draw & Guess will be a live Pictionary-type game featuring Kate, Aaron, KC and Hastings drawing death predictions. With pens, silly! Due to venue restrictions it will not be livestreamed online, so come in person to check it out and enjoy the fun. We’ll also be conducting free death predictions at the TopatoCo booth both days, so come on over. 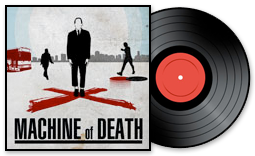 Comments Off on Machine of Death at TCAF!